Over the last five years, the landscape of foodservice distribution has changed dramatically. Customer focus has shifted to obtaining valueadd from distributors and maximizing profitability of operating their commercial kitchens. The historically fragmented industry that once consisted of thousands of providers has experienced rapid consolidation. It’s not the first time the sector has been hit with competitive disruption. In 1988, Walmart opened its first fully stocked grocery locations – a move dismissed by many experts as one of a naïve utsider. But Walmart now generates more than $200 billion in U.S. grocery sales and represents approximately 20 percent of the market, according to Forbes. We are now in the second wave of disruption, courtesy of private equity. Warburg Pincus, New Mountain Capital, Windjammer and Summit Partners represent more than $70 billion in assets under management and can deploy even more capital as a group than Walmart. Supply chains have evolved, and kitchen owners and operators need more than just product distribution. Owners and operators are focused on several key attributes in distribution partners, including: effective consolidation of suppliers; consultative sales and technical expertise; and a convenient multichannel model that allows customers to transact the way they want to transact. Traditional distributors must adapt to serve customers’ evolving needs or risk being rendered obsolete. Increased level of investment in restaurants from private equity firms that are focused on maximizing long-term value and market position of the companies they invest in. Costs have become a major focus of commercial kitchens, and large consolidators are leveraging scale to be more cost-competitive in today’s market. Sophisticated distributors, in partnership with private equity firms, have driven scale and enhanced their value propositions by executing aggressive acquisition strategies and investing in technology, e-commerce capabilities and infrastructure. The paradigm shift in market share is apparent across distributors in the foodservice parts, equipment, supplies and food arenas. Since 2011, the top foodservice parts distributors have significantly increased their market share in the more than $2 billion market today. Growth has been driven by strategic acquisitions, product expansion and investments in channel capabilities and technology to better serve customers. 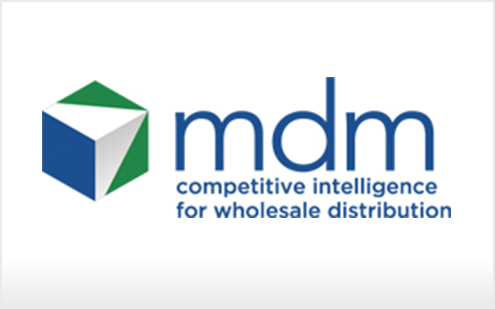 For example, a modest parts distributor formerly known as Consolidated Commercial Controls that started with 9,000 SKUs has evolved through the benefit of private equity backing into an industry-leading distributor of maintenance, repair and operation parts, supplies and equipment to the foodservice industry – Diversified Foodservice Supply. DFS now offers more than 100,000 SKUs, maintains deep relationships with more than 53,000 unique customers across 250,000 commercial kitchen locations and holds the No. 1 market position in direct-sourced original component manufactured replacement parts. The success of DFS is largely attributable to the company’s ability to effectively scale operations while simultaneously creating value for customers. DFS’s is driven organically and through acquisitions. The company, now owned by New Mountain Capital LLC, has completed eight acquisitions since 2007, enabling expansion into new product categories, acquisition of new customers, enhancement of distribution and e-commerce capabilities and improvement in value-added customer service. The top three foodservice parts distributors are private equity backed and, under private equity ownership, have built industry-leading e-commerce capabilities, rebranded and established multichannel go-to-market strategies and successfully consummated numerous acquisitions. The top three foodservice equipment and supplies distributors represented roughly 20 percent aggregate market share in 2011 and represent 36 percent of the $9 billion market today, illustrating significant market share capture from smaller participants, according to Foodservice Equipment & Supplies Magazine. TriMark USA, the foodservice industry’s largest provider of equipment, supplies and design services, has more than doubled from sales of $560 million in 2011 to $1.5 billion today. Since 2007, TriMark has completed eight acquisitions. These deals helped further cultivate its equipment and supplies distribution capabilities to better serve existing customers and win new customers; enhance its restaurant design-build capabilities, providing value-added, tailored solutions for customers; and expand into additional capabilities to acquire new customers, such as government services. Similar to the specialty distributors, the largest broadline foodservice distributors continue to gain market share by leveraging their strong balance sheets to invest in new capabilities and complete strategic acquisitions. Since 2011, Sysco and US Foods, the nation’s two largest foodservice distributors, have completed more than 30 acquisitions and have increased revenue by more than $12 billion and $4 billion, respectively. Additionally, Sysco and US Foods planned a merger in 2013, but that deal was blocked by the Federal Trade Commission. Acquisitions have enabled Sysco and US Foods to expand into new geographies; deepen their solutions offerings to better serve customers; acquire new customers and promote crossselling; and add new technology capabilities, such as e-commerce, analytics and customer reward platforms to drive more value-added solutions for customers. Given the rate of consolidation and market shift in the foodservice distribution industry, there are significant market implications that industry participants should be aware of. Over the past five years, top distributors have captured billions of dollars of share, leaving small and medium-sized players to compete over a smaller piece of the market. Larger players are well-positioned to leverage acquired capabilities and scale to serve kitchen operators while being more cost competitive to commercial kitchen owners and operators. However, small and medium-sized players have the opportunity to adapt rapidly by identifying and completing acquisitions and internally developing systems and technology to enhance their value propositions and capture share from competitors. In order to compete with large industry consolidators, distributors will need to be laser-focused on understanding their customers’ needs and finding innovative, differentiated ways to serve those needs. For example, specialty produce and protein distributors are effectively carving out niches by offering highmargin, customized product cuts, mixes, packaging and other tailored food solutions that the broadline distributors may not have the unique capabilities to execute effectively. These customized solutions enable commercial kitchen operators to streamline their operations and realize meaningful cost savings associated with food preparation. Distributors should also be introspective regarding transactions and delivery of solutions to customers. Amazon has realized incredible success with its e-commerce platform and “click ordering” capability. But some products and solutions may be more technical in nature, in which case customers should have easy access to a knowledgeable sales rep to facilitate the transaction. Best-in-class distribution platforms should leverage a multichannel model and efficient logistics and transportation capabilities to fully serve customers the way they want to be served. Significant M&A activity has created scarcity value for well-positioned foodservice distributors of scale, providing attractive valuations for business owners planning an exit. Private equity firms also have been drawn to the foodservice distribution industry given valuations, consolidation and market dynamics. These equity firms typically seek to partner with business owners to provide capital and operational expertise to businesses, as well as enable business owners to maximize value through re-invested equity. As initial platform investments scale through organic improvements and acquisitions, the valuation multiple associated with the platform increases. 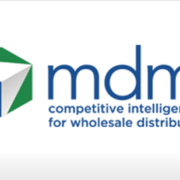 Larger players in the foodservice distribution industry continue to capture business from small and medium-sized businesses. However, small and medium-sized players have the opportunity to leverage their flexibility and understand customer needs to become value-added channel partners for customers. But they will need to increase scale organically or through acquisitions, while making significant investments in sales and e-commerce capabilities. Smaller firms can take advantage of the private equity interest in the industry to find a partner that can enable these investments. Look for investment teams seeking to partner with outstanding small and mid-sized firms that have a clear growth strategy and capital partners that provide not just money but also expertise. This article appears in Modern Distribution Management, VOL. 48, NO. 03, February 10, 2018.